The prime minister said Irma has killed at least one person on the island. Hurricane Irma ripped into the Caribbean island of Barbuda on Wednesday morning with the force of a "bomb" going off, its prime minister told ABC News Thursday. 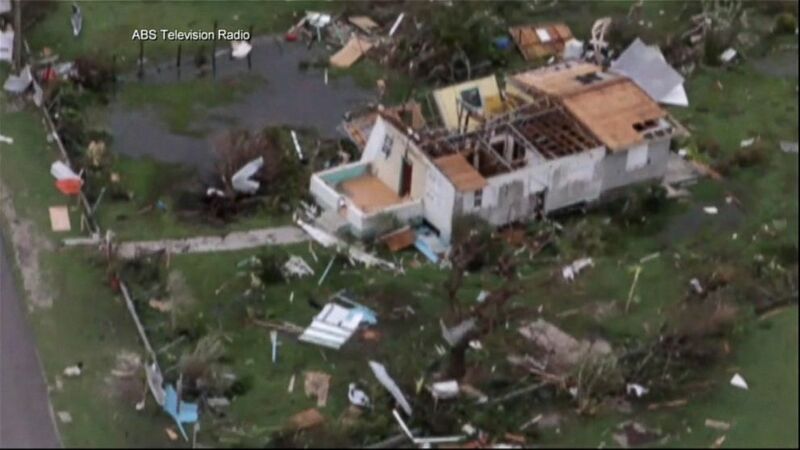 The Category 5 storm, which is advancing toward Florida, destroyed 95 percent of the tiny island's structures and vehicles, Antigua and Barbuda Prime Minister Gaston Browne said. "When you have an unprecedented storm like this that comes with such significant wind force this is like having a bomb literally thrown on a city," Browne said. A spokesperson for Antigua and Barbuda's National Office of Disaster Services told ABC News that although a complete assessment still needs to be done, Irma wreaked widespread damage to Barbuda. Irma passed over Barbuda around 2 a.m. Wednesday as a Category 5 hurricane. The National Weather Service tweeted a graphic showing the hurricane seemingly causing an anemometer — an instrument that measures wind speed — to fail, as the measurements went from recording 150 mph winds to calm in just a few minutes. “It is really the sheer magnitude of the winds that destroyed these properties,” Browne said. All the critical infrastructure on Barbuda has sustained damage, he added. Utility poles and cell towers were broken. Hotels, which were empty during the off-season, were wrecked. The storm has resulted in at least one death on the island -- a toddler who drowned as the child’s mother tried to move to safer ground, according to Browne. 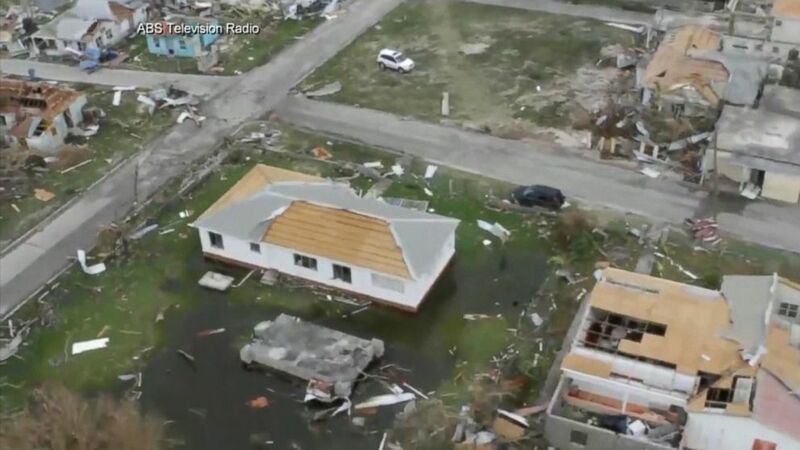 (ABS Television Radio) A view of the aftermath of Hurricane Irma in Barbuda, Sept. 6, 2017. Browne said the storm's impact was "horrible" and described how it fired “missiles” of debris at the island's helpless residents. He added that the priority is to encourage evacuations to Antigua as Hurricane Jose follows in Irma's wake. Barbuda, an island between the Atlantic Ocean and the Caribbean Sea, is relatively flat, with its highest point just 125 feet above sea level. About 1,600 people live on the island, according to a 2011 census. Hurricane Irma is approximately 450 miles wide; Barbuda is just under 62 miles wide. During an appearance Wednesday night on national broadcaster ABS, Browne described the damage he witnessed while flying over Barbuda. 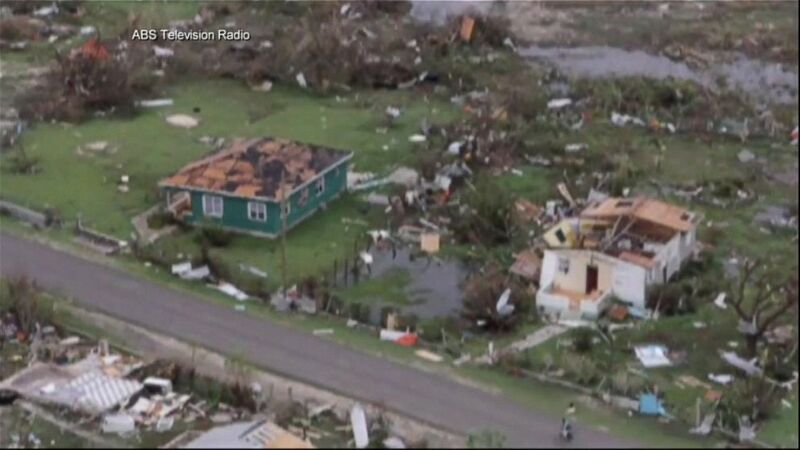 Browne said then Barbuda was "barely habitable" and the damage was "unprecedented." He estimated that 95 percent of buildings suffered at least some damage. Many structures lost their roofs, and others were destroyed. He said parts of the island are "literally underwater." At least 13 people total have died so far as a result of Irma, which currently has sustained winds of 175 mph.